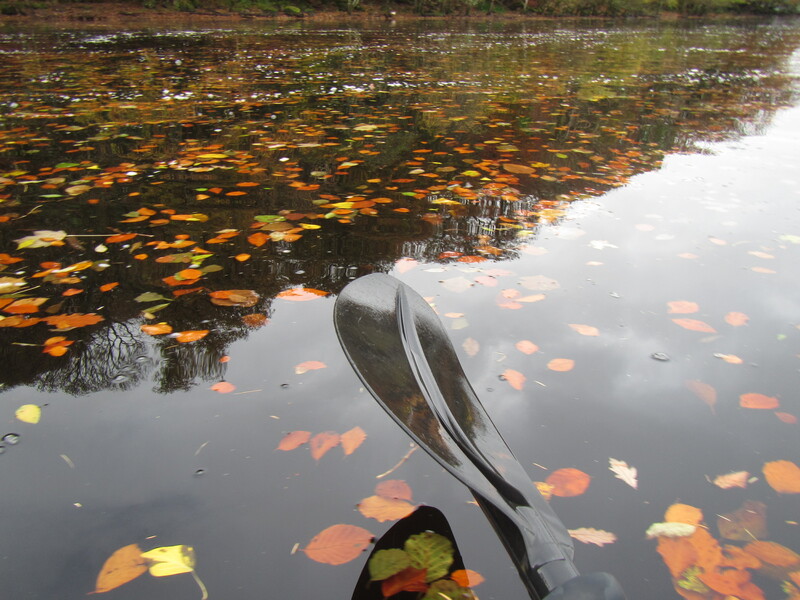 By @SimonCocking images taken using Canon PowerShot D30, UX notes at end. 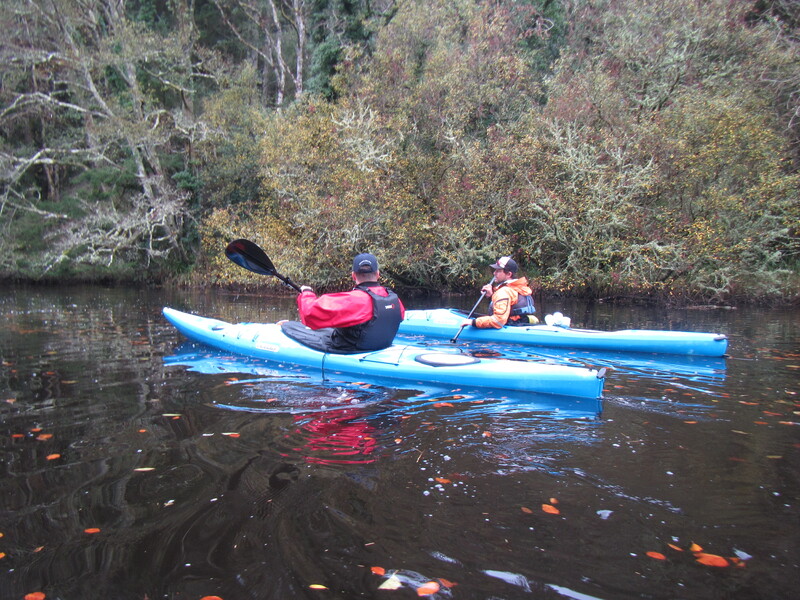 Thanks to Barry Mottorshead from Sligo Kayaking for taking us out. First time using Canon PowerShot D30. It’s a waterproof camera. Some of the shots came out great, with others the images looked a little bleached out. We tried to get some detail shots of the moss on the trees, a sign of the air cleanliness. It was sometimes hit and miss in terms of which shots worked well. It is small and compact which is good. 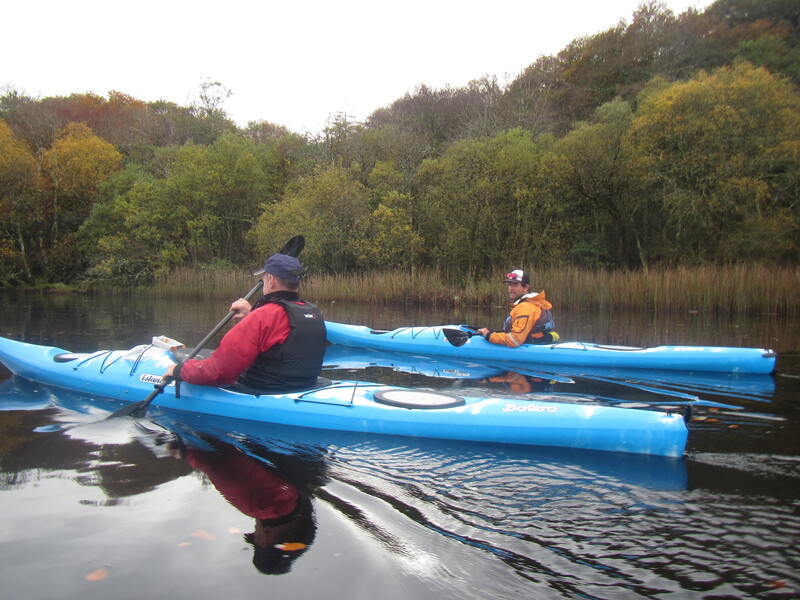 The camera is ideal for snaps on the beach, a little trickier for use on a kayak. That said so far we are happy with the images taken above and will keep trialing it to see how it performs. Next up we plan to try it out in some sea caves to see how the flash works. Having considered my less successful posts of 2014, lots of people suggested I also talk about the ones that worked well and analyse why they did. 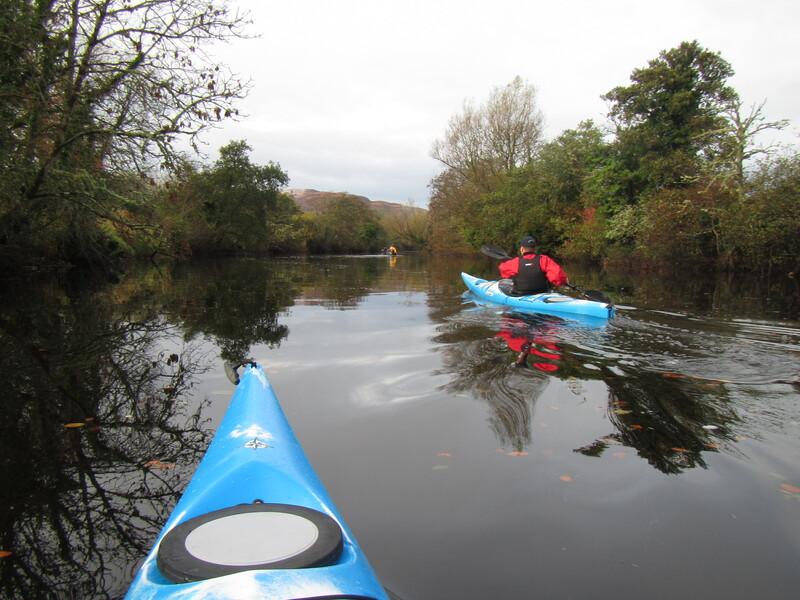 As the year progressed I also guest posted for a few other sites which was a really useful learning experience too. This was my first guest post for TweakYourBiz. Beginners luck perhaps, it made their top 4 articles for the month. The editor gave it a snappier title, focusing on offering something for the reader. 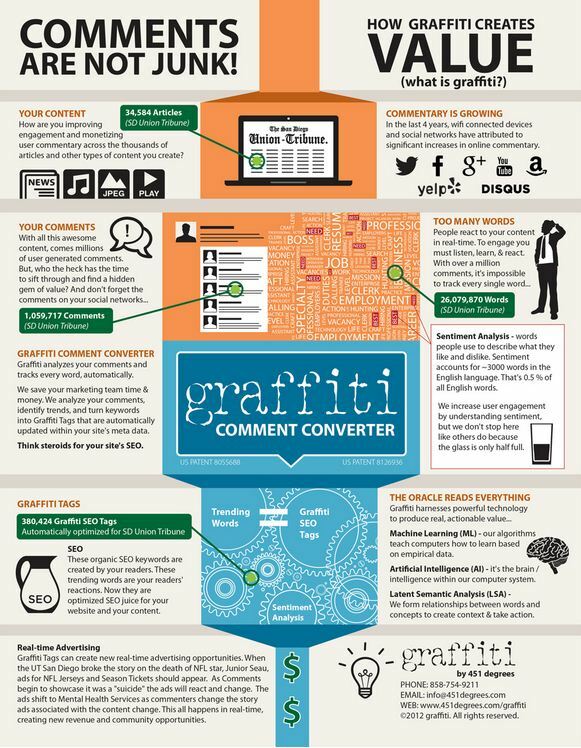 Growth Hacking became a buzz word, possibly over hyped, but people were interested, to see if it could help their own marketing and business growth strategies. 2. Startup Roulette, why do so many founders get fired? This was my second bite at this piece. It is a shorter article. More concise, less about me, than the first version. I think it is a lot better for it too. It’s a snappy title, asks a question, and was relevant to it’s audience. 3. Why is ultimate frisbee such a sucessful breeding ground for creatives and tech superstars? This article was a massive success. There were a few key reasons that had less to do with the actual content. a). The photo of a gold frisbee. Gold does really well in headline images, it just does! We like to see success, and gold, at a visceral level is suggesting this to us. b) The title is both a question, and also implicitly confirming if you read it, you are, also, to some degree, also one of those successful people too. c) It got shared in the right places. A few weeks after I published it, views suddenly went through the roof. In one night there were more views than the blog would normally get in 2 months. It was posted it to the right facebook group, one with over 20,000 likes (genuine not paid for), and it went off it like a rocket. Tweakyourbiz monthly top ten. This resonated with readers because it offered something of value to them. Short, sweet and to the point, it worked. I wonder how it will be with the new TweakYourBiz policy in 2015 for all articles to be over 1000 words. Less is often more. A few reasons why this did well. a) Nice photo, always helps. b) A counter intuitive title. You stop, you look at it, you reread it, you’re curious now because it is not what you expected. c) Success, people like success stories, especially of the underdog. d) The offer of replicability. The post did well in Argentina, Brazil and Angola among other places. 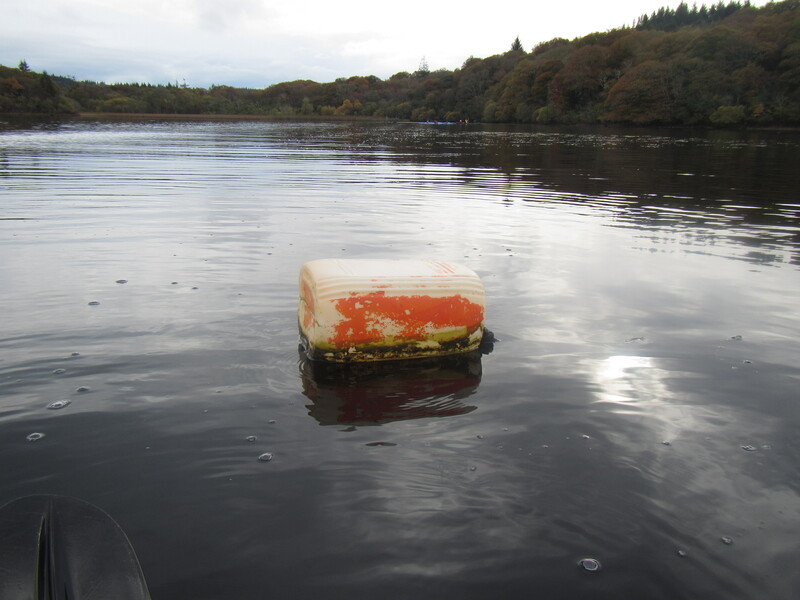 From the comments it was clear the piece was popular as they wished to achieve similar results, ‘if Ireland can …’. 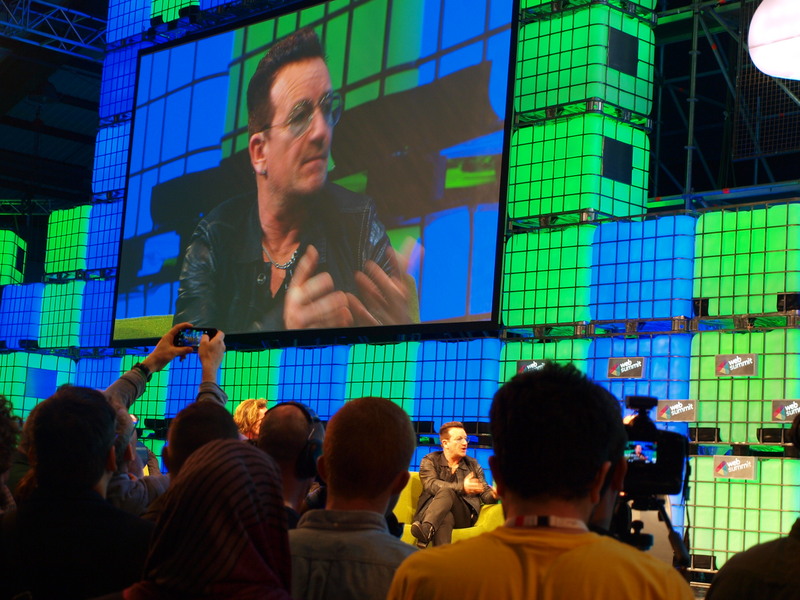 The Web Summit was a big event, both in terms of the number of people attending and also following it online. Often many of the same people too. Because it was so big, with so much going on, people wanted to validate what they were experiencing. Had they seen the ‘don’t miss it’ attractions? People wanted to know who you had liked, who did you think was going to be a success. All the articles where we tried to interpret the mass of startups and ideas did really well. There’s no shame in writing about popular events. Sometimes people want to hear about the topics everyone else is talking about too. This is the ‘getting the Bono shot‘. I climbed over the kids, foreign startups and student volunteers, got to the front, raised my camera over my head, grabbed the picture and retreated. Find your niche, and write to it. These were on the fun side of things, but they have all did pretty well both within the ultimate community and beyond too. On one hand this shouldn’t be too surprising , I read about sports I don’t play. With Ultimate still being quite a niche sport, I wouldn’t have expected many non players to be reading. However if well written and interesting enough, they will appeal to a wider audience! 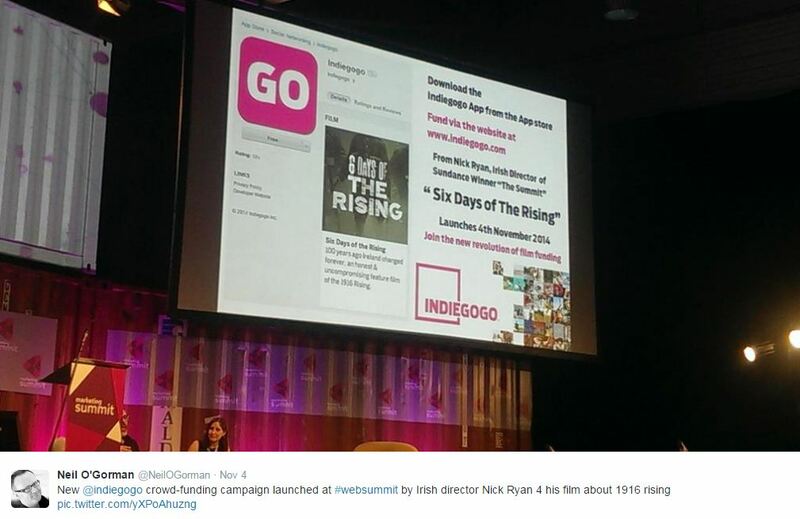 Nick Ryan, Irish director, winner of multiple awards for The Summit, appeared at the Web Summit to launch his innovative crowd funding initiative for his next movie ‘6 days of the rising’. 6 Days of the Rising is the latest project from acclaimed director Nick Ryan and Image Now Films. 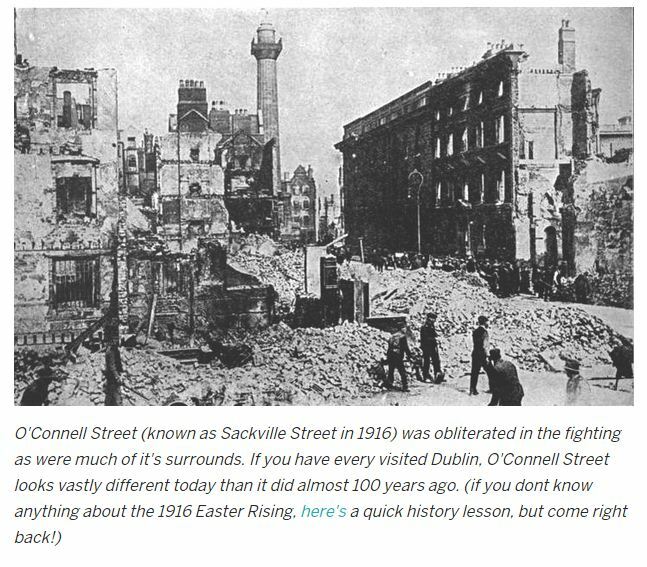 The campaign funding is to develop the proof of concept CGI tests for the creation of an immersive and fully realised Dublin city of 1916 both before and after it’s destruction during the Rising, the funding will enable them to complete the script development. 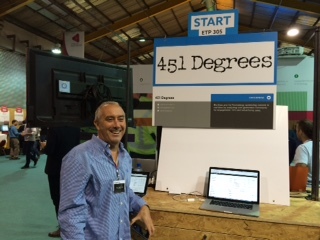 Ryan and his team were at the Web Summit, looking to bring in trade for it. Hopefully it’s a story that can be created and told in time for the 100 anniversary in 2016 of the Easter Uprising. Ryan also directed last years very successful movie The Summit. Fingers crossed the crowd funding succeeds and they go on to produce the film as well. We’ll be watching, and even since writing the article another $50 has been pledged to the indiegogo crowdfunding initiative. It was an event and a half. We loved it, we had a great time. It was a festival vibe. 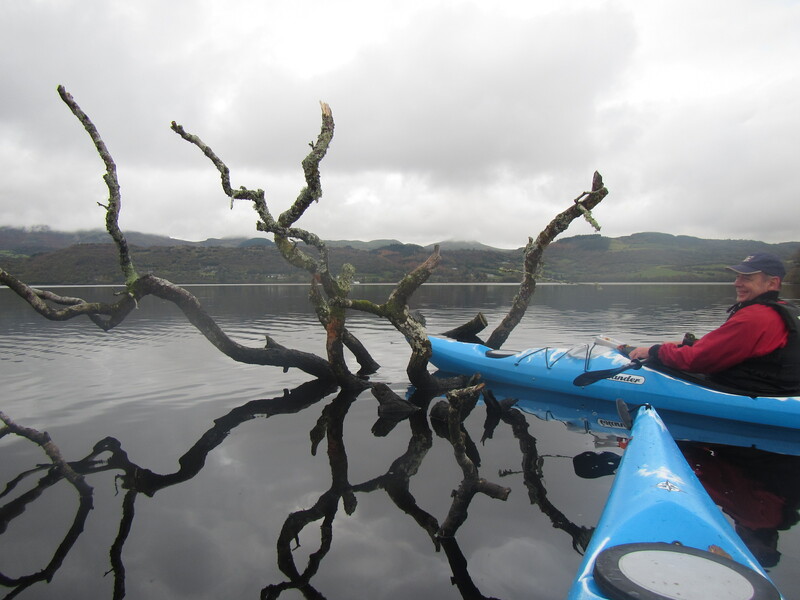 We asked the organiser,@paddycosgrave if this was the Irish Glastonbury. He said that the average age of the organisers was around 27, and that many of these guys had been to plenty of great Irish music festivals, Picnic, Oxygen etc. The music festival was a vibe they were accustomed to. It is clear, with the more informal atmosphere, and quicker turn around of speakers at Web Summit, it feels more like a music festival. 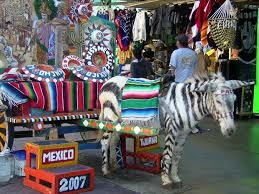 Participants, even investors from California said they preferred this atmosphere, akin to the BurningMan festival. Rather than say South by South West, or some other conferences with a more formal manner. The fact that Paddy’s comments, made at yesterday’s press briefing, were not mentioned by the mainstream Irish press, suggests not (m)any of them go to music festivals. Fortunately this didn’t get in the way of a fantastic event being delivered. Poor wifi! Maybe not actually the end of the world? This was actually less of a story than the media made it out to be. Internet connection not working, heavens above, perhaps you actually have to speak to the people around you, rather than merely tweeting a picture of Bono to both of your followers? Yes it can be tricky to demonstrate an app without the wifi, but there was so much more to the Summit than just that. As it was many people spent their time looking down at their screens, so the odd gap in the wifi wasn’t actually that disastrous. The Alpha and Beta startups pitched, and pitched, and pitched. Tiring, but if you want to get out there, you have to hustle. Keep it short. If I want more I’ll ask. Keep it simple. If I want more detail, yep, I’ll ask. Be prepared, do the devil’s advocate questions before hand. Be able and keen to hear feedback. Almost everyone here is happy to help, so take it when it’s offered. Don’t be shy, this is your time. It was, thanks a million! I didn’t see many people moving between all three sites on a bike, but It was a great asset, fun and saved a lot of time. Listen to a few talks, pitch to people, take breaks too, go to the night events and enjoy yourself too. It was a great event and we look forward to covering even more of it next year. Day 3. Intense, fun, colourful, rainy, interesting, impossible to see it all, hopefully catch some of the talks virtually. With half an hours notice I was asked if I’d like to interview Steve Guggenheimer, Chief Evangelist and VP of Microsoft. With little time to prepare I quickly googled him, looked at his LinkedIN profile, and then, for inspiration, watched this. Irish Tech News were given an opportunity to hear whether Microsoft were managing to stay innovative and ahead of their competitors. As everyone knows Microsoft were caught cold on a few initiatives in their recent past. Steve Guggenheimer, Microsoft Vice President and Chief Evangelist had come over from Seattle, via Chicago, to visit the Irish operations. 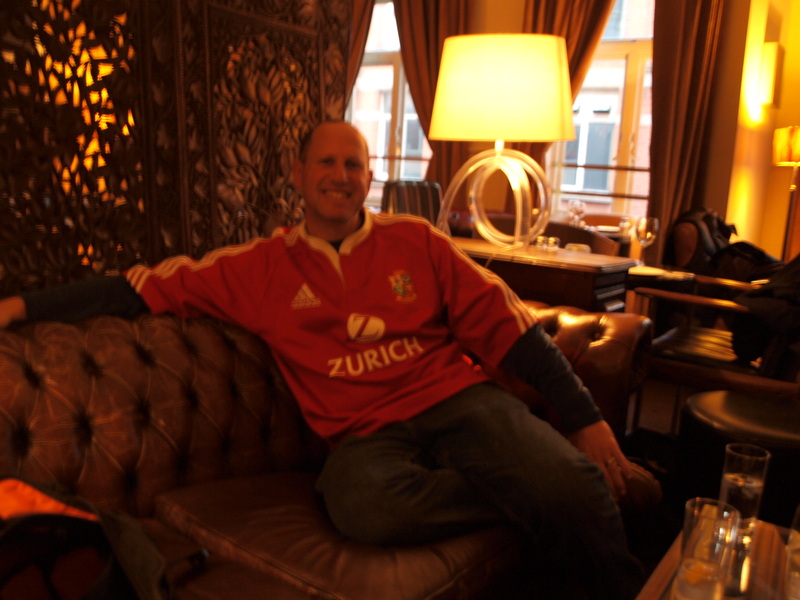 Guggenheimer was wearing a British and Ireland Lions jersey as he had just come from watching Team USA play the All Blacks rugby team in Chicago. He is a big rugby fan, and had delayed his trip to Ireland in order to see the match. This perhaps inevitably lead to a discussion about whether Rugby fostered innovation and startups, especially in comparison to one other sport in particular … It was agreed to disagree, though I know that I’d rather have the creators of Google, Paypal, Whatsapp, Pebble, and a few others in my corner versus Brian O Driscoll’s app which even seems to be named after the opposition and Jamie Heaslip’s putative tech investments. Sensing that the interview had perhaps taken a tricky turn, it seemed to make sense to discuss the companies strategy to innovate and remain on the cutting edge of new technologies. It was tentatively suggested large companies like Microsoft had become a bit monolithic. This was clearly not quite the right choice of word to use. It prompted a spirited and wide ranging discussion about all the areas in which Microsoft are both innovating and also continuing to remain in the business of earning large revenues also. Microsoft have clearly taken previous criticisms on board and have embarked on a rigorous and wide ranging strategy to anticipate future trends and position themselves in the right place to deal with them. They are currently and aggressively moving their products to the cloud. Naturally you might expect the Chief Evangelist, to be, well, evangelical about this. However a number of other people in the Irish part of the company have also said that it is a dynamic atmosphere, where change has been embraced and welcomed. Clare Dillon for example, Developer Lead for Microsoft Ireland, had recently given a talk at UCD about the use of Yammer within the company to enable staff to identify useful conversation threads taking place outside of their own particular section. This had enabled her to quickly identify relevant initiatives that had already been developed in-house. Guggenheimer did a good job of conveying the range of initiatives taking place, from students, to community groups, to startups, and how Microsoft was actively engaging with them. It seems too simplistic a story to simply describe Microsoft as a company that are out of touch with changing trends. Instead, like IBM, who they initially overtook and eclipsed, it seems highly likely that Microsoft are in the process of reinventing and redefining who they are are, and what they do. Perhaps I had just been evangalised by the evangelist? Afterwards, as part of his community outreach program he then left to be a judge at a joint Microsoft / NDRC open mike night for tech startups. Below is Microsoft’s description of their strategy. · Startups are revolutionizing the way we work with smart, powerful and connected productivity solutions. · To help ignite this new wave of services, the next Microsoft Ventures Accelerator in Seattle will focus on IoT in the enterprise. · We will help startups foster exciting new ideas by providing mentorship, technology, access to capital and expertise to build global companies. · Startups interested in applying to the program can sign up at www.microsoftventures.com/accelerators/seattle. · Provide a strong call to action for startups to apply for the Microsoft Ventures accelerators. · Microsoft is fostering innovative startups in the IOT space at home and in the workplace.